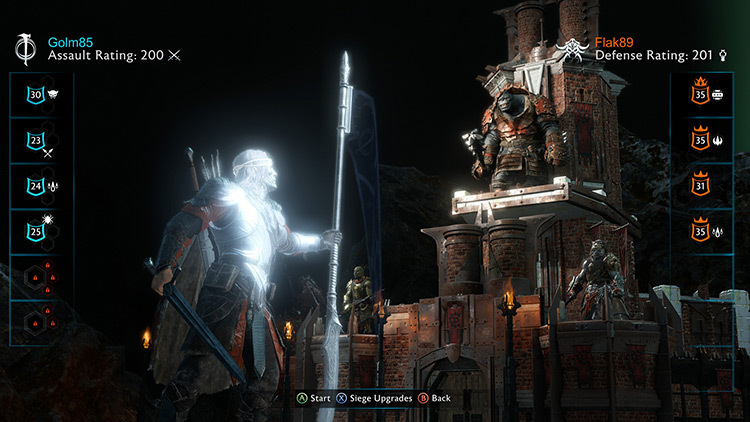 Shadow of Mordor was unrefined but in a way that was ahead of its time. Playing it felt like glimpsing the future of big action games. 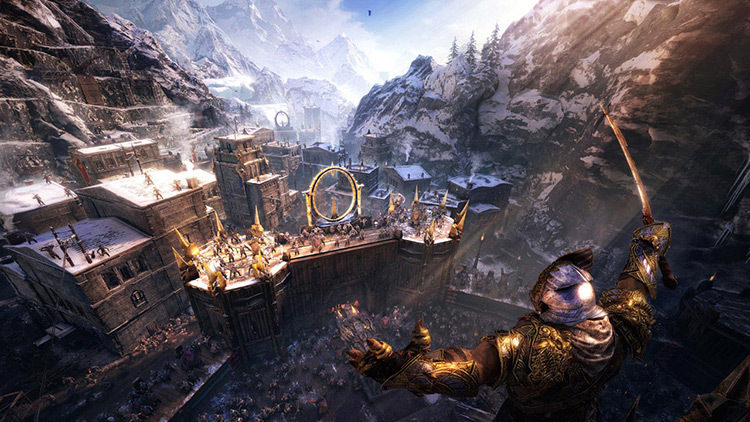 Monolith’s attempts to build on that vision in Shadow of War are often successful, particularly where the deeper Nemesis System is concerned. But other pieces of this sequel feel undercooked, getting in the way of what should be a great time. Shadow of War provided plenty of fun in the 30 or 40 hours I’ve spent with it so far, but somehow this future seemed so much brighter in 2014. Shadow of War may not be perfect. Its camera can still get lost, Talion’s free-running can often be a hindrance rather than a help, and the UI can sometimes bug out for no apparent reason in menus and the main game. But these are little issues in a very large game, and even with the Loot Boxes as optional purchases (they truly are optional), I can’t help but recommend this game to any and all fans of open world adventures. With or without the DLC there are dozens of hours of playtime to be had, and it’s mostly of the highest quality. Recommended. The nemesis system shines in this unwieldy, bloated, and occasionally magnificent fantasy epic. 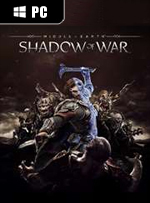 Providing thrilling gameplay, a flowing combat system, pleasing Tolkien landscape, challenging charismatic bosses, deeper story and a bigger end game mechanic to keep the player entertained for many many hours, today Middle Earth Shadow of War is one of the best games available in the third-person RPG-action genre. A huge Lord of the Rings experience that’s always enjoyable, although its scale leaves it straining at the seams at times. Monolith knew it had something when they took the Nemesis System, made famous in Shadow of Mordor, and expanded it exponentially. The world has never seen so many diverse Uruk-hai. Middle-earth: Shadow of War is a definite improvement over Shadow of Mordor. People who played the first game and wanted to see serious growth will be pleased. There are times when it can feel a bit repetitive. Middle-Earth: Shadow of War is an excellent sequel stuffed with content, although it’s one with provisos all the way. It’s great to see a high quality Tolkien story telling an exciting new tale in the Middle-Earth saga, but it’s a little too fan fiction with plenty of lore-breaking moments. 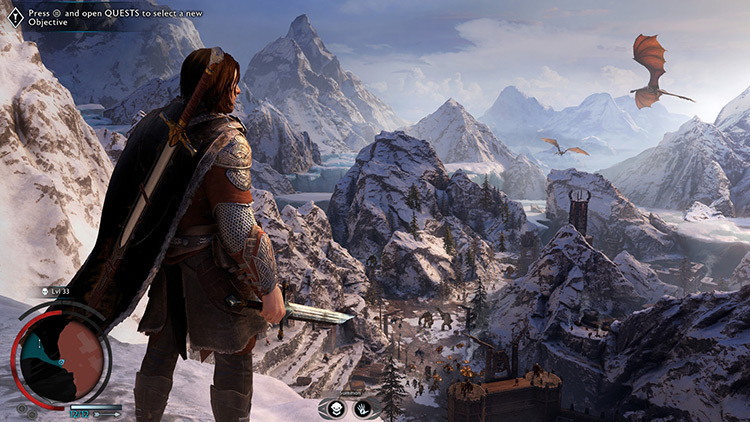 The gameplay is excellent and never less than fun, but you often feel you’re going through the motions of the last game – until you’re not and you’re going through the epic but slightly repetitious quest to conquer the five regions of Mordor. Mechanisch und inhaltlich ist Schatten des Krieges in nahezu jeder Hinsicht besser und damit ein gelungener Nachfolger zu Mordors Schatten. Die nach wie vor an Rocksteadys Batman angelehnten Kämpfe sind schnell, dynamisch und brachial, können aber bei den neuen, durchaus interessanten Festungseroberungen zu hektisch-chaotischen Knopfdruck-Stakkatos führen. Am Ende berührt uns Schatten des Krieges dann doch nicht auf die gleiche Weise wie »Der Herr der Ringe« - aber gut, die Entwickler haben ja auch keine zwölf Jahre daran geschrieben. Ihr Werk ist vielleicht kein Epos für die Zeitalter und auch kein perfektes Spiel. Aber trotzdem ein verdammt unterhaltsames. Quant aux micro-transactions, si elles ont fait débat lorsque Monolith a commencé à en parler, sachez qu’elles restent totalement optionnelles, d’autant que les coffres peuvent être parfaitement achetés via la monnaie du jeu. Là encore, nul besoin de jouer les scandalisés, les développeurs n’ont en aucun cas vendu leur âme, et surtout leur jeu, sur l’autel de la commercialisation à outrance, soyez rassurés. 'Ombre de la Guerre n'est pas le meilleur jeu que l'on pourrait espérer des adaptations de l'univers de Tolkien mais cela reste tout de même un très bon titre. Son système Nemesis intelligent permet de hisser le titre sur le podium des meilleurs systèmes de monde ouvert à ce jour. Complet, profond et vivant, on a enfin l'impression d'avoir quelque chose de presque palpable entre les doigts. L'Ombra della Guerra porta il videogioco a diventare epica: Ă¨ un racconto emozionante all'interno della Terra di Mezzo, meno sontuoso di quanto fece Christian Cantamessa con il primo, ma allo stesso modo e tempo palpitante. Al netto di qualche imperfezione tecnica, delle animazioni che non sono del tutto fluide, ci troviamo dinanzi a un miglioramento imponente del primo capitolo, grazie alle numerose aggiunte e alla maggior profonditĂ del Nemesis System. Tra Nazgul e Balrog Monolith ha trovato un'ulteriore maturitĂ e ora non ci resta che scoprire se tra un biennio potremo abbracciare un terzo capitolo, per chiudere un'epica trilogia. Sonuç olarak Shadow of War, önceki oyunu olan Shadow of Mordor'u başarılı yapan öğeleri geliştirerek karşımıza çıkıyor. Oyunun yavaş başlaması dışında, belirli bir süre sonra sizi alıp götürüyor ve kendine bağlayan oynanış mekanikleri ile saatlerin nasıl geçtiğini fark edemiyorsunuz. Devasa Mordor haritası ve oynanışı ile Shadow of War, bir önceki oyununu geride bırakarak bize güzel bir oyun deneyimi hazırlıyor. 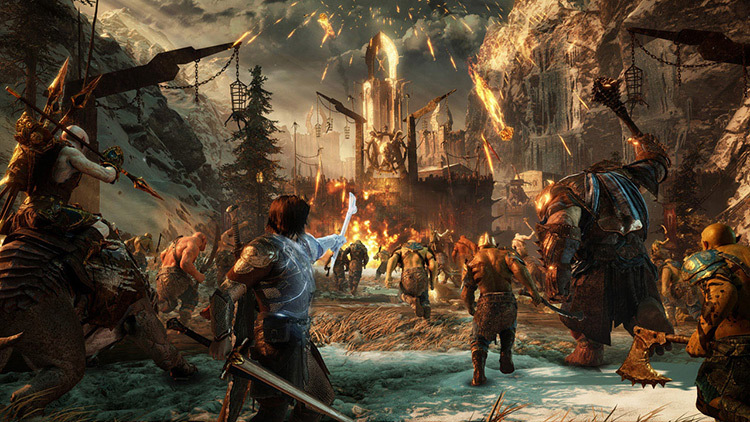 Heeft Middle-earth Shadow of War ons weten te verrassen zoals zijn voorganger dat deed? Nee, maar dat betekent allesbehalve dat Shadow of War niet een betere game is dan Shadow of Mordor. Het eerste deel legde een solide basis neer, waar het tweede deel op doorbouwt en verbetert. 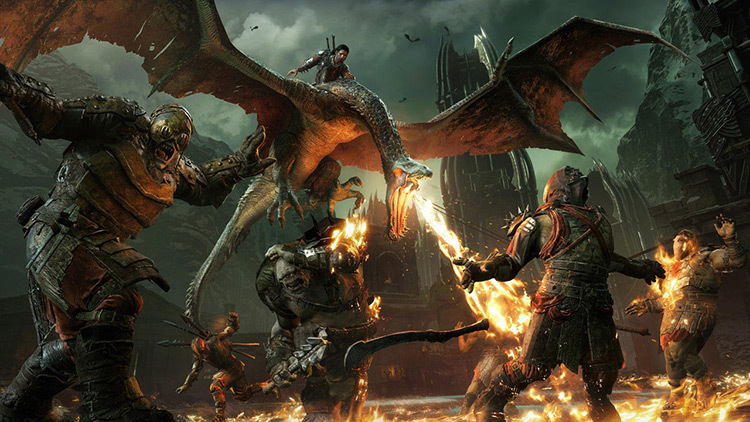 Shadow of War is groter en beter in alle opzichten, net zoals de orks. Sequel gry w 2014 roku stanowi ulepszoną i wzbogaconą wersję swojej poprzedniczki. Choć fabularnie ponownie nie otrzymaliśmy powalającej historii, gameplay został znacznie poprawiony i rozbudowany.